A simple DIY handmade Christmas card can be transformed by the inclusion of an appropriate sentiment or greeting. Picking great greetings is one of the quickest and easiest ways to personalize a card - perfect whether you are using similar shop bought cards or your own handmade creations. 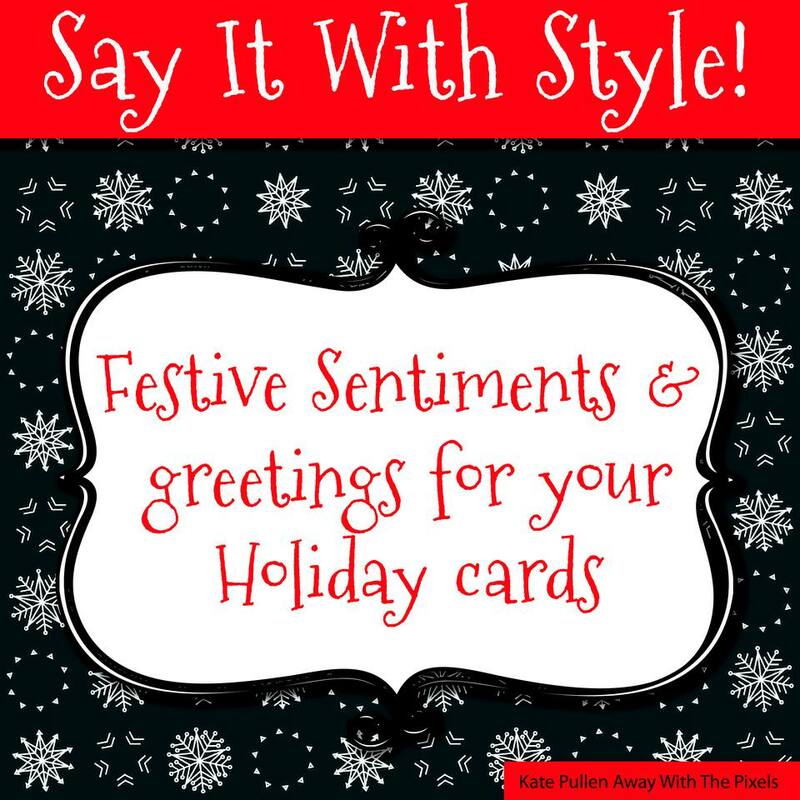 There are many types of sentiment appropriate for holiday cards. Christmas quotations are a great way to find a few special words to complement a handmade card. Quotations are a rich resource, with a seemingly endless supply of words for different occasions and are ideal for use during the holiday season. Christmas quotations extend from classic religious prayers and inspirational words, through to funny and irreverent quips or satirical one-liners. This is an ideal way of customizing and adapting DIY Christmas greeting cards, customizing them to the recipient. Remember when using quotations to always include the name, if it is known, of the originator. There are few people who really like their own handwriting! When writing a sentiment in a handmade card, however, it is important to remember that the recipient won't be judging the neatness of the handwriting. It is the thought and words that matter, not perfectly scripted writing. Use a good quality pen! No handwriting will look good when written in a blotchy ballpoint pen. A pen that gives a smooth consistent flow will help to give a good finished effect. Write naturally! There are lovely fancy handwriting styles, from intricate script through to funky styles. Unless someone is keen on calligraphy, simply writing in your own natural style is likely to produce better results than trying something new in a card. If you want to try a new style, practice on scrap paper first. Printing is a quick and easy way to produce sentiments to go inside handmade cards. This is a great opportunity to stylize the words, perhaps by finding an unusual font or printing in colors that match the inks and style of the rubber stamped image. The quotations can be used as an insert to the card or simply cut out and attached to the inside of the card. Make this blend into the overall design by drawing a border around the quote using a complementary colored pen. When printing a quotation, try to put several quotations onto a page to save on paper. Whether it's a simple 'Happy Christmas' or a more lengthy poem or quotation, finding the perfect sentiment will add the finishing touch to your card.